The Long Narrow Strap Paddle! 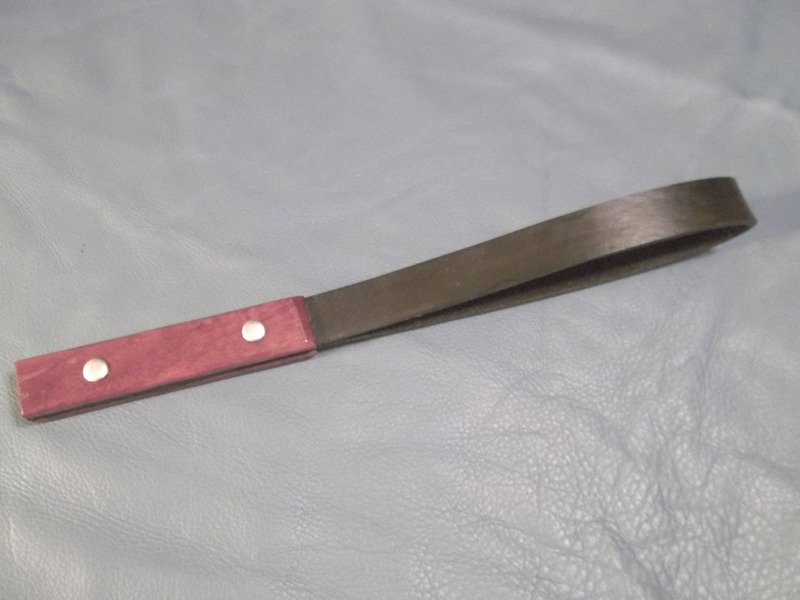 This paddle is the narrow version of the leather strap paddle. It is approximately 17 1/2" long, 1 " wide and the leather is 8 oz. leather. The handle is a beautiful purple heart hand carved to complete the item. This makes a wonderful complementary toy for your toy bag! HOWEVER, as with all items from my store, please play safely. These items can cause serious injury if used improperly.